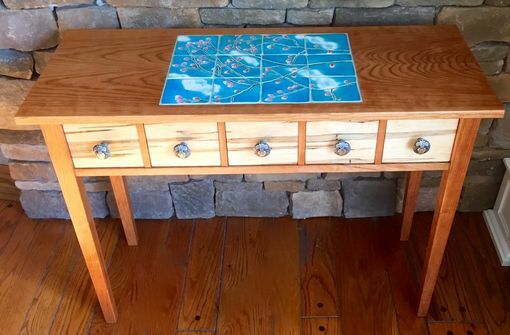 This table was made for a client that wanted his special hand painted tiles inlayed into the top. 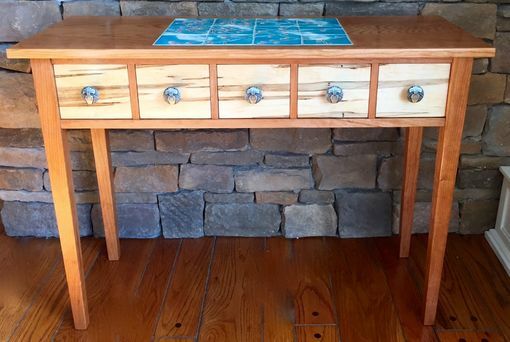 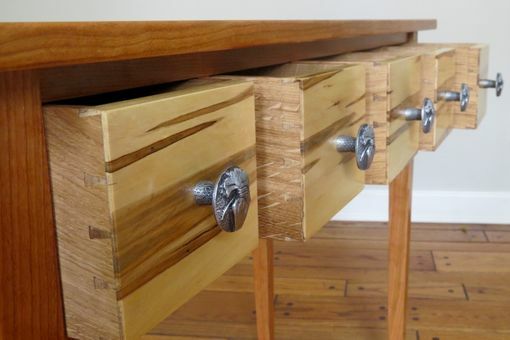 Table features Cherry hardwood with tapered legs and sequential Ambrosia maple drawer fronts. 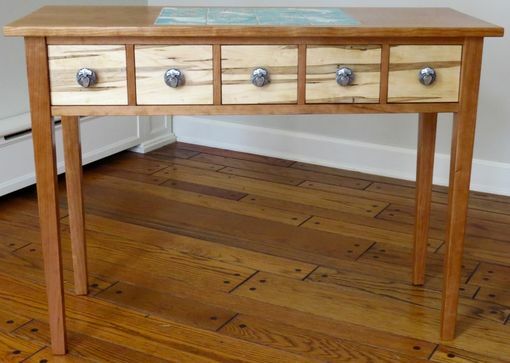 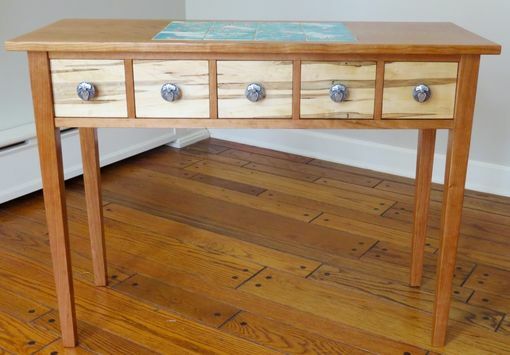 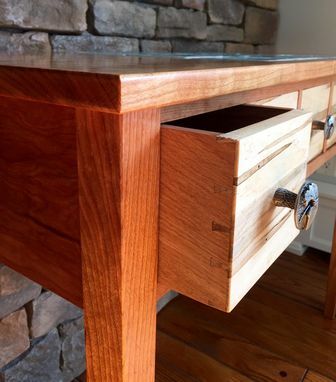 This Cherry sofa table is built rock solid with traditional joinery like mortise and tenons and hand cut dovetails. 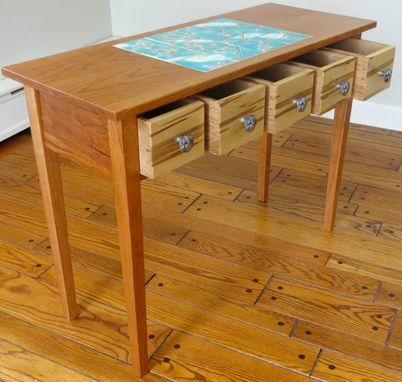 I can make this table with your choice of materials along with a size to fit your space.